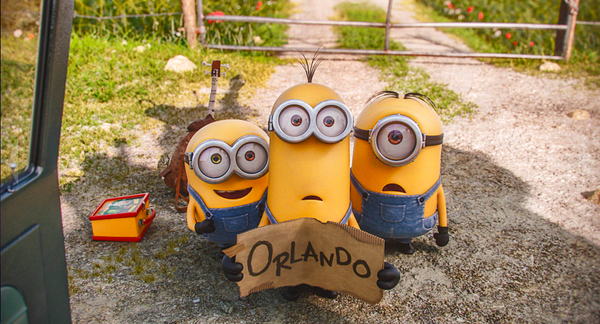 Universal Orlando will have yellow fever this summer. The resort is planning activities related to characters from the upcoming film “Despicable Me 3,” including daily chances to meet and greet more of the movies’ minions. 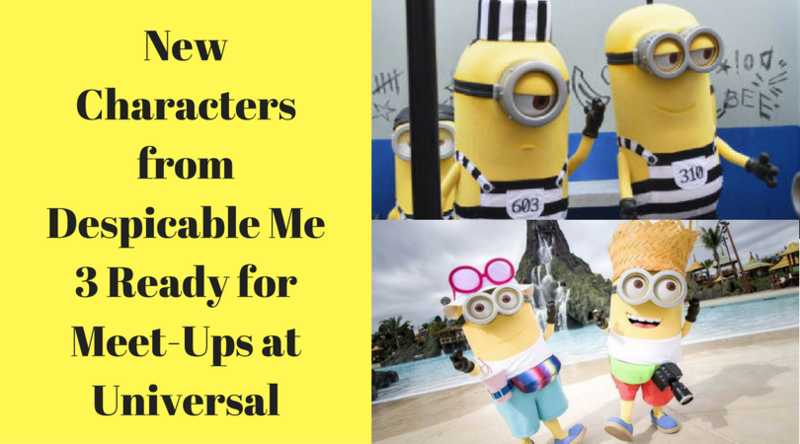 Striped-jumpsuited minions will be at the Jail Minion Tattoo Parlor near the Despicable Me Minion Mayhem attraction at Universal Studios theme park. Along with the photo ops, visitors can get a (temporary) minion tattoo. The schedule, subject to change, is 9:20 a.m., 10:20 a.m., 11:20 a.m., 1:20 p.m., 2:20 p.m. and 3:20 p.m.
Over in the KidZone area of Universal Studios will be Gru, his twin Dru, Mel and, appropriately enough, the “tourist minions” (they made appearances at the recent grand opening of the Volcano Bay water park). Here they’ll be grooving to the soundtrack for the movie. Times are 11:50 a.m., 12:50 p.m.,1:50 p.m., 2:50 p.m., 4:25 p.m. and 5:40 p.m. The meet-ups will be in place through Aug. 19, 2017. Be on the lookout for all-new merchandise from Despicable Me 3, and take home memorabilia of your favorite characters. Merchandise is available at the Universal Studios Store and the Super Silly Stuff store in Universal Studios, as well as the Trading Company in Universal’s Islands of Adventure. Lastly, don’t miss out on the Despicable Me 3 weekend takeover at Universal CityWalk from June 30 – July 2. The Minions are taking over the lagoon stage and turning all-things yellow.